Staying small. — This is where I have poured some of my heart in soul, in ink! At some point you may have received the message that you had to alter who you were in order to please another, to fit in, to make something easier. We all do. We learn that if we make ourselves small, less inconveniencing or troublesome, that life will become easier. It happens with family, bosses, friends, partners, even our kids. But the opposite effect happens internally as a result. Making yourself small is training yourself to believe that you’re not perfect just as you are. Not speaking up or out bottles it within you. Allowing someone to dominate, dictate, or control you sends the message that you don’t believe in your own value and worth. The poor programming must be reprogrammed. 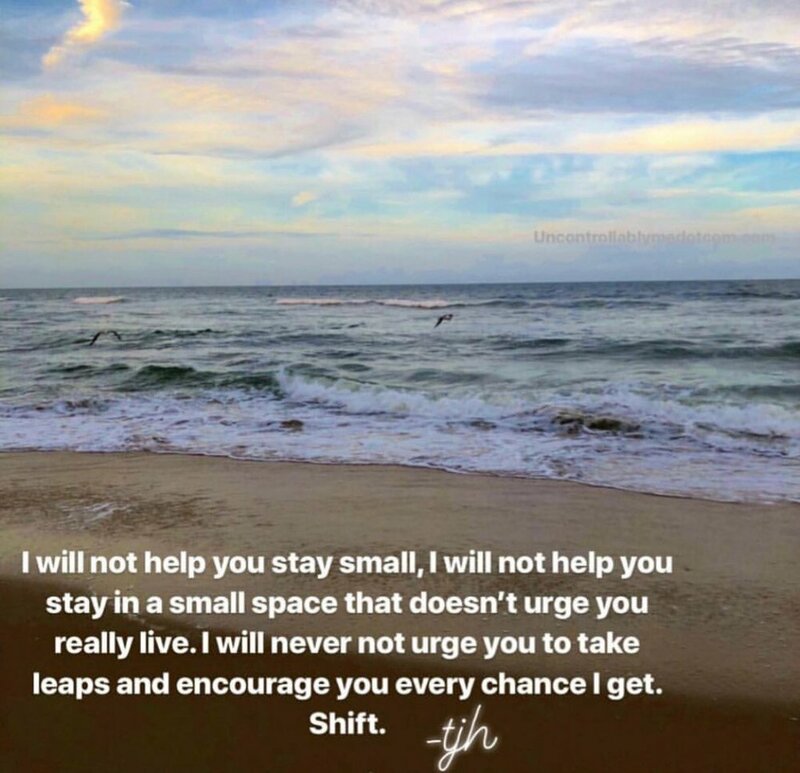 So, no, I will not help you stay small. I will not let you swim only in the shallow end. I will not stand by while you accept less than you deserve. I will hold space for your wounds and resilience. I will challenge you to shift, to heal, to overcome, to choose better. Do not make yourself small for anyone.